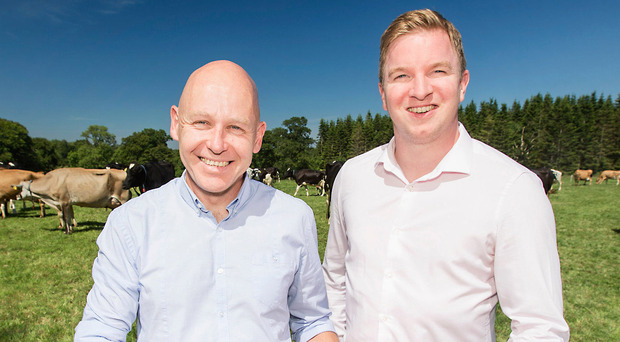 Co Down dairy farm Clandeboye Estate is to supply Northern Ireland Tesco stores with a new range of flavoured Greek-style yoghurt. Clandeboye, which is led by Lady Dufferin, will sell the yoghurts in mandarin and lime, white chocolate and raspberry and mango and nectarine flavours in 12 Tescos. General manager Bryan Boggs said the listing would boost its sales volumes by between 5% and 10%. Tesco buyer Jonathan McWhinney said flavoured yoghurts were a popular category. "The Clandeboye brand is synonymous with quality and we are excited to stock these exciting new flavours," he added.